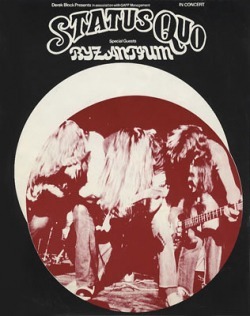 1973 tour programme. 12 pages, 8" x 10" size, black/white. 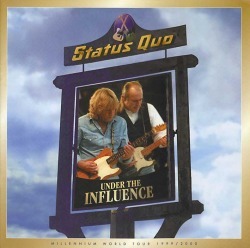 Featuring a centrespread of individual photographs of the band plus biographies of both Quo and support act Byzantium. Also includes an advertisement for the Piledriver album. 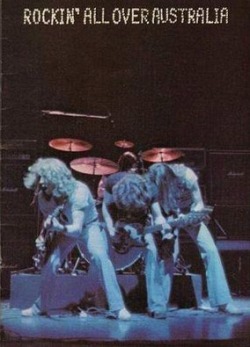 1977-78 tour programme Rockin' All Over The World. 20 pages featuring back catalogue advertisment, photographs including individual full-page pictures of Francis, Rick, Alan and John. Also double-page picture of band and crew. 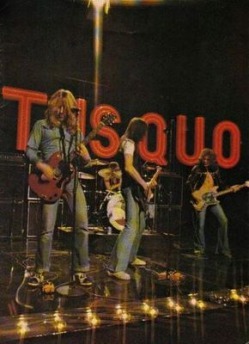 1979 tour programme. Printed on high quality textured paper. 28 pages, size 12" x 8". Packed with information, photos, biographies and discography. Including merchandise insert. 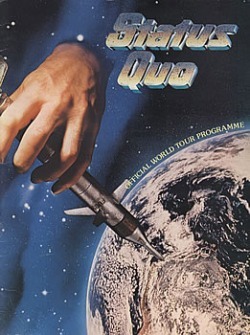 1982 tour programme. Full colour 32 page 20th anniversary programme, size 12" x 9½". 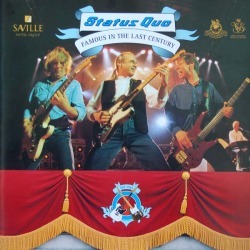 Featuring photos and information about the band and their first twenty years. 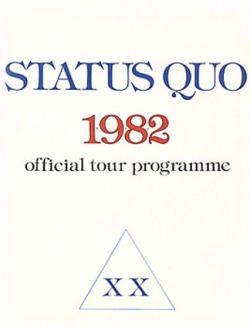 1984 tour programme. 36 page End Of The Road full colour programme, size 13" x 11". 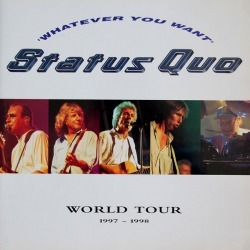 Packed with photographs, information, quotes, tour dates and discography. 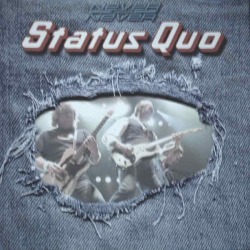 Denim textured cover. 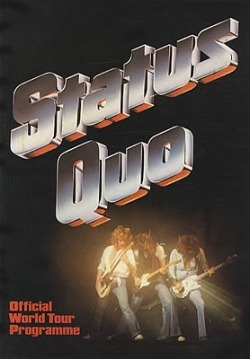 1986 tour programme. Size 13" x 11", full colour programme for the 'comeback' tour. 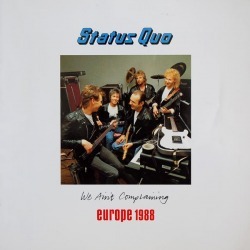 Packed with information, tour dates, equipment, profiles of the band members plus discography. 1989 tour programme. Full colour, 20 page, programme for the Perfect Remedy Tour 1989-90. 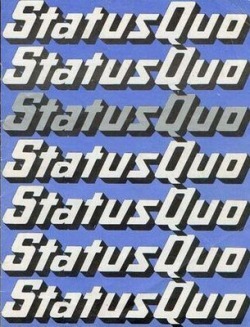 Size 13½" x 9", glossy cover. 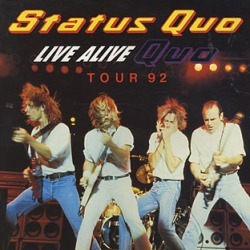 Including tour dates, lots of photos and biography. 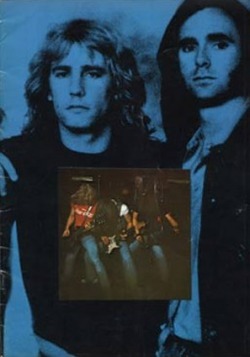 1991 tour programme. 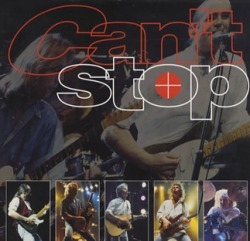 The 28-page Rock 'Til You Drop programme features loads of photos and also a review of their 25th anniversary year. Glossy cover. 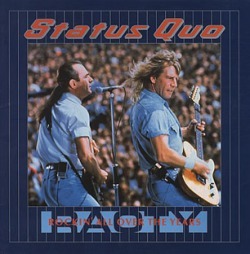 1993 tour programme. 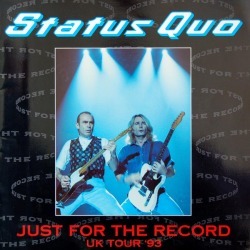 30-page programme for the Just For The Record UK tour. 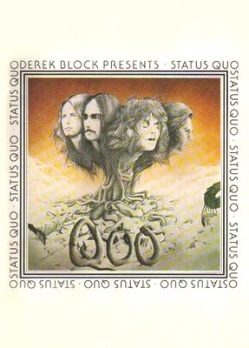 Glossy cover. Featuring lots of photos and a 1994 middle page calender spread. 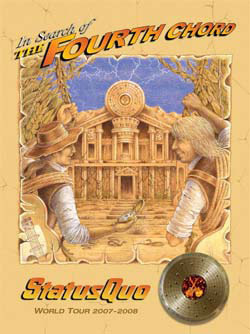 1994-95 tour programme. Size 12" x 12" full colour 36-page programme. Features band biographies, photographs, features, pull-out 1995 calendar and cocktail recipes. 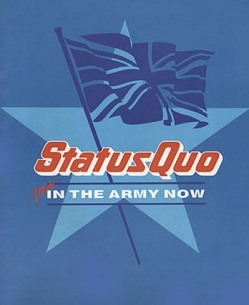 1997 tour programme. Size 12" x 12", 26-page programme in full colour. Glossy cover. Packed with photographs and information. Including a month by month diary and a pull-out 1997 calendar. 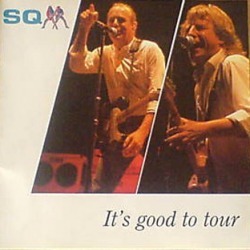 2003-04 tour programme. Glossy, full colour, 30-page programme. Features articles, photos, information, 2004 calendar plus much more. 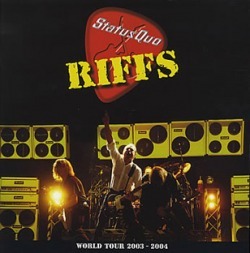 2005-06 tour programme. 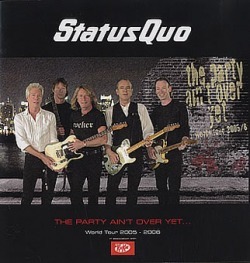 Size 12" x 12" programme from 'The Party Ain't Over Yet' world tour. 30 pages packed with photos, articles, 'The album and it's making' interview plus much more. 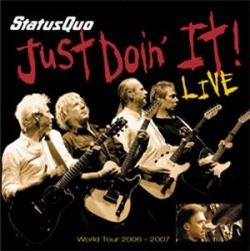 2007-08 tour programme. Full colour, 32 pages. Packed with photographs, information and a fold-out 2008 calendar. 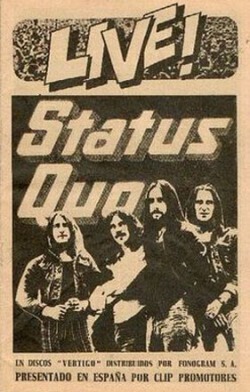 1973 tour programme. 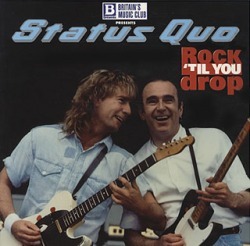 12 pages, 8" x 8" size, black/white, with classic silver Status Quo logo on black background front cover. UK/French tour dates on rear (Sep 19th-Oct 15th). 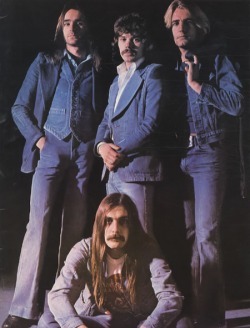 Support act Savoy Brown. 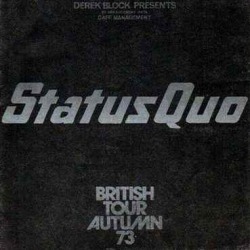 1976 tour programme. 20 pages full of great pictures. 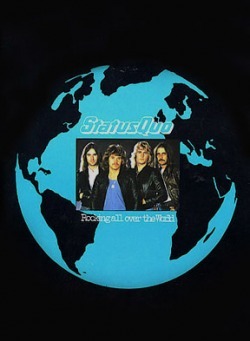 Colour cover and centrefold. 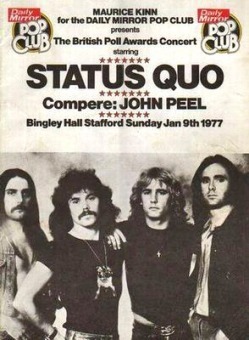 1977 programme for the Daily Mirror Poll Awards Concert at Bingley Hall, Stafford, 9th January. Among the support acts were David Essex, The Real Thing, John Miles and The Rubettes. 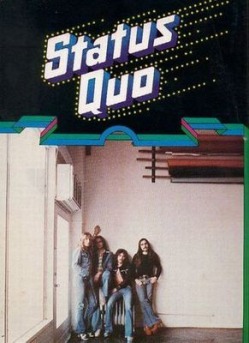 1981 tour programme. 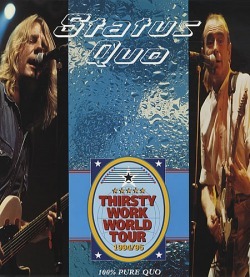 24 page full colour Never Too Late world tour programme, size 12" x 8". 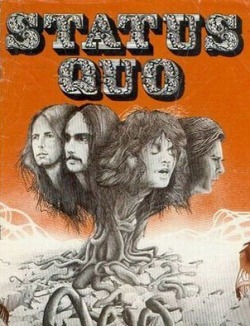 Includes double-page family tree, full page photographs of each band member and official merchandise. 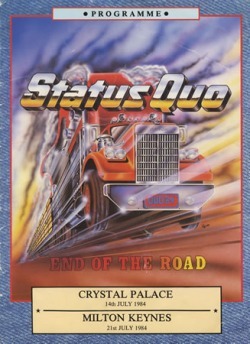 1984 programme for the final gigs at Selhurst Park (Crystal Palace) and Milton Keynes Bowl in July. Size 13" x 9½", 20 page full colour programme featuring back catalogue advertisement, comic strip and lots of live photographs. 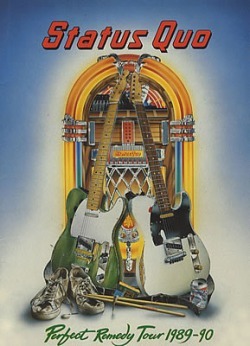 1990 tour programme Rockin' All Over The Years. Size 12" x 12", 25th anniversary programme, packed with photographs, discography and information. 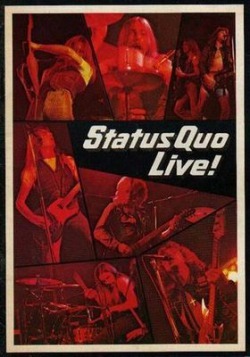 1992 tour programme. Size 12" x 12", 26-page programme with glossy cover. Featuring band member profiles and lots of photographs. 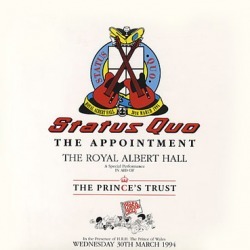 1994 programme for the special performance by Quo in aid of 'The Prince's Trust', March 30th. The concert was attended by H.R.H The Prince Of Wales. Full colour, 32 pages, featuring band member profiles and lots of photographs. 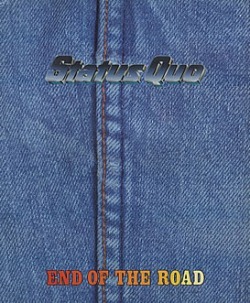 1995-96 tour programme. 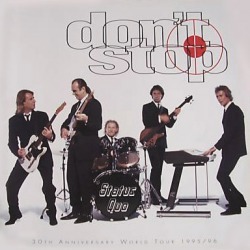 34-page glossy programme for the Don't Stop tour packed with photographs, band member profiles plus pull-out 1996 calendar. Size 12" x 12". 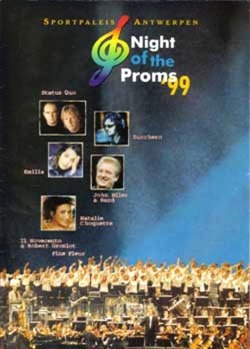 1999 Night Of The Proms programme. 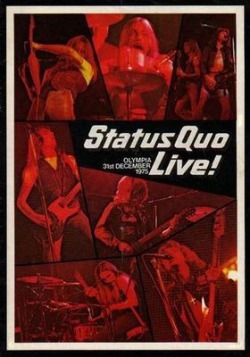 2004-05 tour programme. 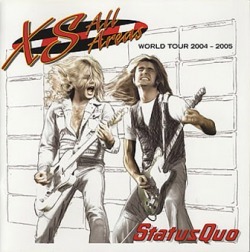 30-page, 12" x 12" size, full colour glossy programme from the XS All Areas world tour. 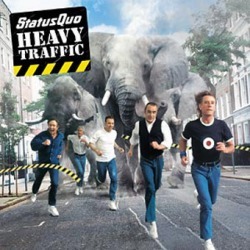 Features photos, discography, information, articles, 2005 calendar plus much more. 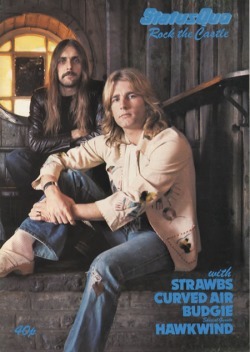 2006-07 tour programme. Size 12" x 12". 32 full colour pages featuring lots of information and exclusive photos.